Sony has unveiled three new Cyber-shot cameras; with the W210 and W220 and an entry level Cyber-shot S950. The W-series additions are the W220 and W210, both of which are 12.1MP snappers with Carl Zeiss lens, 4x optical zoom, SteadyShot and are described by Sony as 'fun to use'. This is presumably because of the Smile Shutter tech which automatically fires the shutter when someone smiles. Presumably not when it's turned off. 'Adjustable to prioritise children's or adults' smiles, it's perfect for relaxed, informal portraits,' says the press release. Sony has also bundled in a 2.7-inch LCD screen and PhotoTV HD for those people with a Bravia television. At the cheaper end of the market is the Sony Cyber-shot S950. 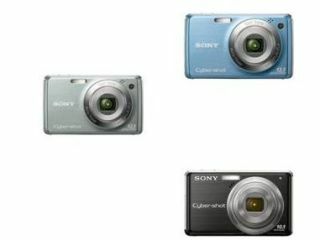 The Cyber-shot W210, W220 and S950 are available from February 2009, with no prices confirmed by Sony UK.